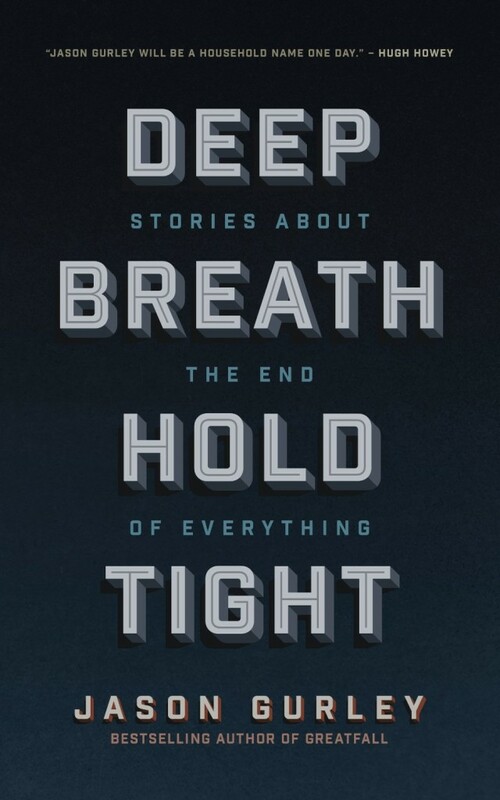 As a thank you for being a member of his mailing list, Jason Gurley sent me a free copy of his first short story collection – Deep Breath Hold Tight : Stories About the End of the World. I bought a copy anyway – that’s how much I enjoyed it. I’ve already talked about his short story – The Dark Age – and how memorable it was. Deep Breath Hold Tight contains The Dark Age plus six other stories, all loosely connected by the end of the world theme. These stories are all previously published either as standalone ebooks, in anthologies or as part of a full length novel. Wolf Skin is the story of someone who becomes a member of one of those murderous roving gangs so popular in post-apocalyptic fiction. It’s the darkest of the seven stories in the collection. The opening few pages in particular are quite graphic, more so than the rest of the stories in the book. My preferences lean towards horror anyway so I was pretty comfortable with the content but it might not be everyone’s cup of tea. 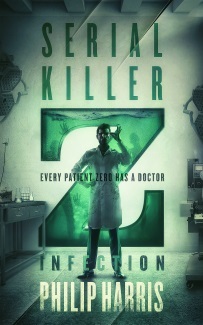 But the story quickly moves beyond the violence into more thought provoking territory and I enjoyed it. One of my favourite pieces in the collection, this is the story of Alice, a woman living alone aboard a space station who discovers she may be the last human alive. Another powerful story with an ending that I loved. Originally published in From the Indie Side, this story of an elderly veteran and aspiring author attending an open mic night to read his story is a quiet, thoughtful tale that deserves a second read through. Another out and out science fiction story and a standalone chapter from The Colonists. It’s the story of Ansel, a man on a deep space mission to investigate a missing persons case. This was my least favourite story in the collection but given the quality of the other stories, that’s not much of a criticism. I didn’t quite connect with it as well as the other stories and the ending fell flat for me. Another standalone chapter, this time from The Settlers. Micah, for reasons that become clear as the story progresses, reluctantly moves to a huge space station to begin a new life. This is another quiet, moving story that has stuck with me since I read it. I don’t want to say too much about this one (no spoilers here) but this story of post-apocalyptic rail rider, Henry, is probably the most off beat of the seven. Somewhat surreal in places, it’s another one that deserves a second reading. This was the first Jason Gurley story I read and it had lost none of it’s impact when I re-read it as part of this collection. This examination of the impact of a deep space mission is moving and thought provoking. Fantastic stuff. As the title suggests, the stories in Deep Breath Hold Tight : Stories About the End of the World are not happy-go-lucky, all is bright and cheerful tales. There’s some darkness, some sorrow. But there’s optimism too. If you look for it hard enough. All in all, a fantastic collection that I’ll definitely be reading again. Jason Gurley is a great writer. It doesn’t seem fair that he’s such an amazing cover designer as well.